HUMPHREY BOGART in "The African Queen", Marlon Brando in "A Streetcar Named Desire", Montgomery Clift in "A Place in the Sun", Arthur Kennedy in "Bright Victory", Fredric March in "Death of a Salesman"
VIVIEN LEIGH in "A Streetcar Named Desire", Katharine Hepburn in "The African Queen", Eleanor Parker in "Detective Story", Shelley Winters in "A Place in the Sun", Jane Wyman in "The Blue Veil"
KARL MALDEN in "A Streetcar Named Desire", Leo Genn in "Quo Vadis", Kevin McCarthy in "Death of a Salesman", Peter Ustinov in "Quo Vadis", Gig Young in "Come Fill the Cup"
KIM HUNTER in "A Streetcar Named Desire", Joan Blondell in "The Blue Veil", Mildred Dunnock in "Death of a Salesman", Lee Grant in "Detective Story", Thelma Ritter in "The Mating Season"
GEORGE STEVENS for "A Place in the Sun", John Huston for "The African Queen", Elia Kazan for "A Streetcar Named Desire", Vincente Minnelli for "An American in Paris", William Wyler for "Detective Story"
GARY COOPER in "High Noon", Marlon Brando in "Viva Zapata! ", Kirk Douglas in "The Bad and the Beautiful", Jose Ferrer in "Moulin Rouge", Alec Guinness in "The Lavender Hill Mob"
SHIRLEY BOOTH in "Come Back, Little Sheba", Joan Crawford in "Sudden Fear", Bette Davis in "The Star", Julie Harris in "The Member of the Wedding", Susan Hayward in "With a Song in My Heart"
ANTHONY QUINN in "Viva Zapata! ", Richard Burton in "My Cousin Rachel", Arthur Hunnicutt in "The Big Sky", Victor McLaglen in "The Quiet Man", Jack Palance in "Sudden Fear"
GLORIA GRAHAME in "The Bad and the Beautiful", Jean Hagen in "Singin' In The Rain", Colette Marchand in "Moulin Rouge", Terry Moore in "Come Back, Little Sheba", Thelma RItter in "With a Song in My Heart"
JOHN FORD for "The Quiet Man", Cecil B. DeMille for "The Greatest Show On Earth", John Huston for "Moulin Rouge", Joseph L. Mankiewicz for "Five Fingers", Fred Zinnemann for "High Noon"
WILLIAM HOLDEN in "Stalag 17", Marlon Brando in "Julius Caesar", Richard Burton in "The Robe", Montgomery Clift in "From Here to Eternity", Burt Lancaster in "From Here to Eternity"
AUDREY HEPBURN in "Roman Holiday", Leslie Caron in "Lili", Ava Gardner in "Mogambo", Deborah Kerr in "From Here to Eternity", Maggie McNamara in "The Moon is Blue"
FRANK SINATRA in "From Here to Eternity", Eddie Albert in "Roman Holiday", Brandon de Wilde in "Shane", Jack Palance in "Shane", Robert Strauss in "Stalag 17"
DONNA REED in "From Here to Eternity", Grace Kelly in "Mogambo", Geraldine Page in "Hondo", Marjorie Rambeau in "Torch Song", Thelma Ritter in "Pickup on South Street"
FRED ZINNEMANN for "From Here to Eternity", George Stevens for "Shane", Charles Walters for "Lili", Billy Wilder for "Stalag 17", William Wyler for "Roman Holiday"
MARLON BRANDO in "On The Waterfront", Humphrey Bogart in "The Caine Mutiny", Bing Crosby in "The Country Girl", James Mason in "A Star Is Born", Dan O'Herlihy in "Adventures of Robinson Crusoe"
GRACE KELLY in "The Country Girl", Dorothy Dandridge in "Carmen Jones", Judy Garland in "A Star Is Born", Audrey Hepburn in "Sabrina", Jane Wyman in "Magnificent Obsession"
EDMOND O'BRIEN in "The Barefoot Contessa", Lee J. Cobb in "On The Waterfront", Karl Malden in "On The Waterfront", Rod Steiger in "On The Waterfront", Tom Tully in "The Caine Mutiny"
EVA MARIE SAINT in "On The Waterfront", Nina Foch in "Executive Suite", Katy Jurado in "Broken Lance", Jan Sterling in "The High and the Mighty", Claire Trevor in "The High and the Mighty"
ELIA KAZAN for "On The Waterfront", Alfred Hitchcock for "Rear Window", George Seaton for "The Country Girl", William Wellman for "The High and the Mighty", Billy Wilder for "Sabrina"
ERNEST BORGNINE in "Marty", James Cagney in "Love Me or Leave Me", James Dean in "East of Eden", Frank Sinatra in "The Man With the Golden Arm", Spencer Tracy in "Bad Day at Black Rock"
ANNA MAGNANI in "The Rose Tattoo", Susan Hayward in "I'll Cry Tomorrow", Katharine Hepburn in "Summertime", Jennifer Jones in "Love is a Many-Splendored Thing", Eleanor Parker in "Interrupted Melody"
JACK LEMMON in "Mister Roberts", Arthur Kennedy in "Trial", Joe Mantell in "Marty", Sal Mineo in "Rebel Without a Cause", Arthur O'Connell in "Picnic"
JO VAN FLEET in "East of Eden", Betsy Blair in "Marty", Peggy Lee in "Pete Kelly's Blues", Marisa Pavan in "The Rose Tattoo", Natalie Wood in "Rebel Without a Cause"
DELBERT MANN for "Marty", Elia Kazan for "East of Eden", David Lean for "Summertime", Joshua Logan for "Picnic", John Sturges for "Bad Day at Black Rock"
YUL BRYNNER in "The King and I", James Dean in "Giant", Kirk Douglas in "Lust for Life", Rock Hudson in "Giant", Laurence Olivier in "Richard III"
INGRID BERGMAN in "Anastasia", Carroll Baker in "Baby Doll", Katharine Hepburn in "The Rainmaker", Nancy Kelly in "The Bad Seed", Deborah Kerr in "The King and I"
ANTHONY QUINN in "Lust for Life", Don Murray in "Bus Stop", Anthony Perkins in "Friendly Persuasion", Mickey Rooney in "The Bold and the Brave", Robert Stack in "Written on the Wind"
DOROTHY MALONE in "Written on the Wind", Mildred Dunnock in "Baby Doll", Eileen Heckart in "The Bad Seed", Mercedes McCambridge in "Giant", Patty McCormack in "The Bad Seed"
GEORGE STEVENS for "Giant", Michael Anderson for "Around the World in 80 Days", Walter Lang for "The King and I", King Vidor for "War and Peace", William Wyler for "Friendly Persuasion"
DAVID NIVEN in "Separate Tables", Tony Curtis in "The Defiant Ones", Paul Newman in "Cat on a Hot Tin Roof", Sidney Poitier in "The Defiant Ones", Spencer Tracy in "The Old Man and the Sea"
SUSAN HAYWARD in "I Want to Live", Deborah Kerr in "Separate Tables", Shirley MacLaine in "Some Came Running", Rosalind Russell in "Auntie Mame", Elizabeth Taylor in "Cat on a Hot Tin Roof"
BURL IVES in "The Big Country", Theodore Bikel in "The Defiant Ones", Lee J. Cobb in "The Brothers Karamazov", Arthur Kennedy in "Some Came Running", Gig Young in "Teacher's Pet"
WENDY HILLER in "Separate Tables", Peggy Cass in "Auntie Mame", Martha Hyer in "Some Came Running", Maureen Stapleton in "Lonelyhearts", Cara Williams in "The Defiant Ones"
VINCENTE MINNELLI for "Gigi", Richard Brooks for "Cat on a Hot Tin Roof", Stanley Kramer for "The Defiant Ones", Mark Robson for "The Inn of the Sixth Happiness", Robert Wise for "I Want to Live!" 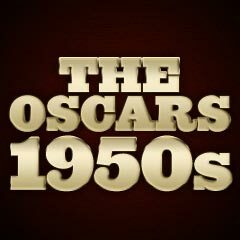 CHARLTON HESTON in "Ben-Hur", Laurence Harvey in "Room at the Top", Jack Lemmon in "Some Like It Hot", Paul Muni in "The Last Angry Man", James Stewart in "Anatomy of a Murder"
SIMONE SIGNORET in "Room at the Top", Doris Day in "Pillow Talk", Audrey Hepburn in "The Nun's Story", Katharine Hepburn in "Suddenly, Last Summer", Elizabeth Taylor in "Suddenly, Last Summer"
HUGH GRIFFITH in "Ben-Hur", Arthur O'Connell in "Anatomy of a Murder", George C. Scott in "Anatomy of a Murder", Robert Vaughn in "The Young Philadelphians", Ed Wynn in "The Diary of Anne Frank"
SHELLEY WINTERS in "The Diary of Anne Frank", Hermione Baddeley in "Room at the Top", Susan Kohner in "Imitation of Life", Juanita Moore in "Imitation of Life", Thelma Ritter in "Pillow Talk"
WILLIAM WYLER for "Ben-Hur", Jack Clayton for "Room at the Top", George Stevens for "The Diary of Anne Frank", Billy Wilder for "Some Like It Hot", Fred Zinnemann for "The Nun's Story"